DUBLIN, Ireland - The Met Eireann has warned that the first storm of the season, Storm Ali is expected to hit Ireland in the early hours of Wednesday morning. With the storm soon approaching, the Met Eireann has upgraded its weather warning to status orange, issuing the warning in 13 counties. 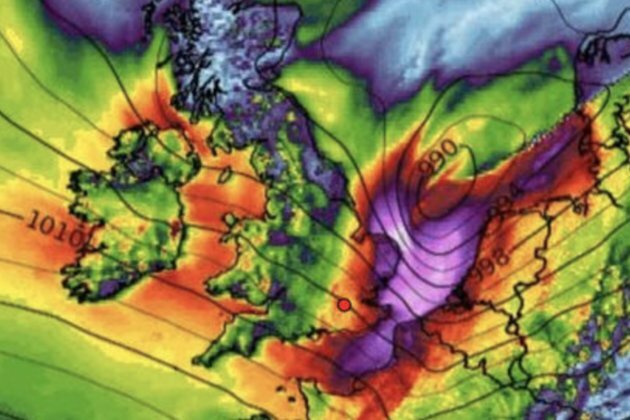 The Met Eireann warned that its status orange wind warning will affectCavan, Monaghan, Donegal, Dublin, Kildare, Louth, Meath, Galway, Leitrim, Mayo, Sligo, Clare and Kerry. According to the National weather body, Storm Ali will track close to the west and northwest coast from the early hours of Wednesday morning until late afternoon. It said that the warning, which was issued at 9 am on Tuesday, will be active until 1 pm on Wednesday afternoon. The Met Office wrote in a tweet, "Very strong winds and heavy rain will reach Northern Ireland and parts of Scotland during Wednesday. @MetEireann and @metoffice have just jointly named this system "Storm Ali." Warnings will be updated later this morning. #StormAli"